So I joined the cult of Instant Pot (yes, it's Instant Pot, not Instapot) after resisting and resisting for longer than I probably should have. Although I've only had it a few weeks, I'm happy to say I'm in love and kicking myself for all the snide comments I made to others about the craze. The best part is that I've gotten rid of my rice cooker and small crockpot and now have more space in my kitchen, which, might I add, is super, unbelievably tiny. This is the photo from the Food Network, and my fish looked exactly like this. Period. I substituted kale (I'm so millennial) for the spinach. I used a Moroccan spice mix I had laying around (mix it up!). The reviews were outstanding. My 4.5 year old loved it and my husband couldn't shut up about it. This one will be going into rotation. 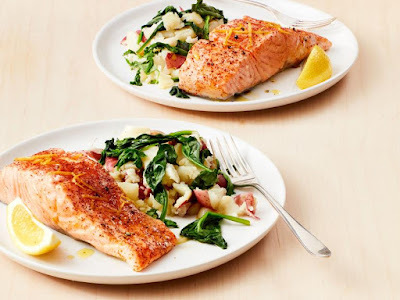 Seriously, I can't cook fish this perfectly in the oven, so knowing the Instant Pot can? Priceless. The best part was that it only took a few minutes and I did it right before candle lighting, so everything was hot and fresh. Brilliant! I love bowls that are packed with veggies and protein, and this one was going to be a doozy of goodness. The only problem? I couldn't seem to find a legit recipe for just making black lentils; every recipe was for a soup or red, green, or brown lentils. 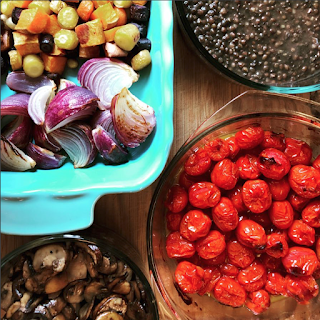 I love black (or puy) lentils because they're incredibly hearty and packed full of protein. After digging through some regular recipes and Instant Pot recipes, I decided to wing it. The result was outstanding! Put the ingredients in the Instant Pot bowl. For settings, you want 3 minutes on high pressure. Make sure the steam valve is closed. Put the lid on and the process will begin. After the 3 minutes, let the Instant Pot sit for 10 more minutes. After the 10 minutes, release the steam valve carefully. Once the pressure is resolved, remove the lid, and enjoy! 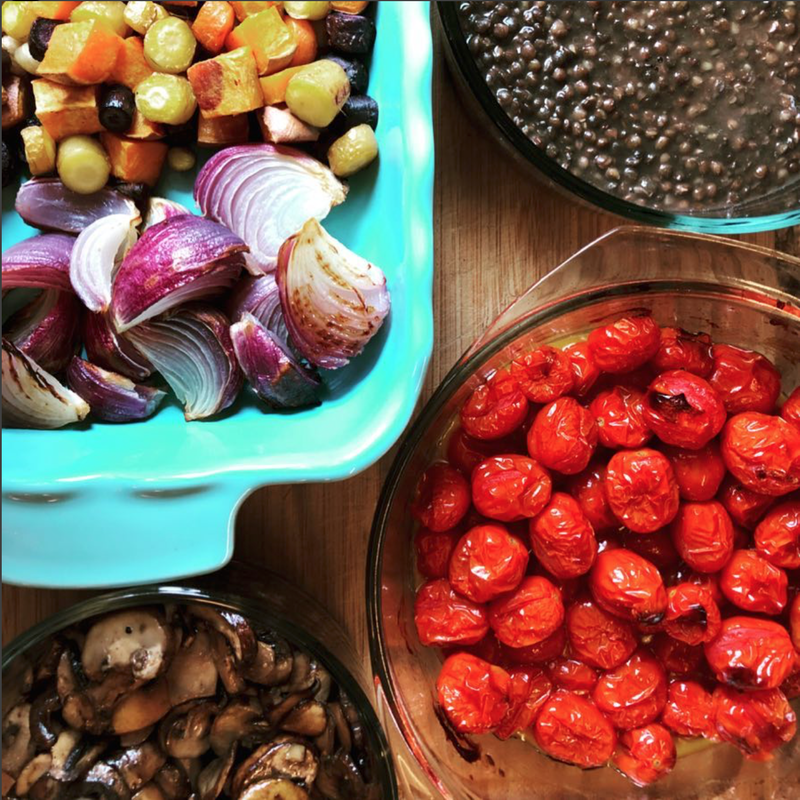 You should have perfect black lentils for use in whatever you need to make. If you want them to be a bit more soupy, use 4 cups of broth or water instead of the 3.5. Pro tip: If you have cherry tomatoes that are starting to turn, chuck them in the oven at 400 degrees with olive oil, salt, and pepper. Let them cook until they start to burst and pop. Throw 'em on pizza, a buddha bowl, on spaghetti, or just eat 'em with a spoon! Do you have a favorite Instant Pot recipe? Sock it to me! My Instant Pot is going to stay pescatarian/dairy, but I'm curious how you're using yours.